Since it was founded in 1994, the Medlar Press has published some of the finest fishing books in the UK. 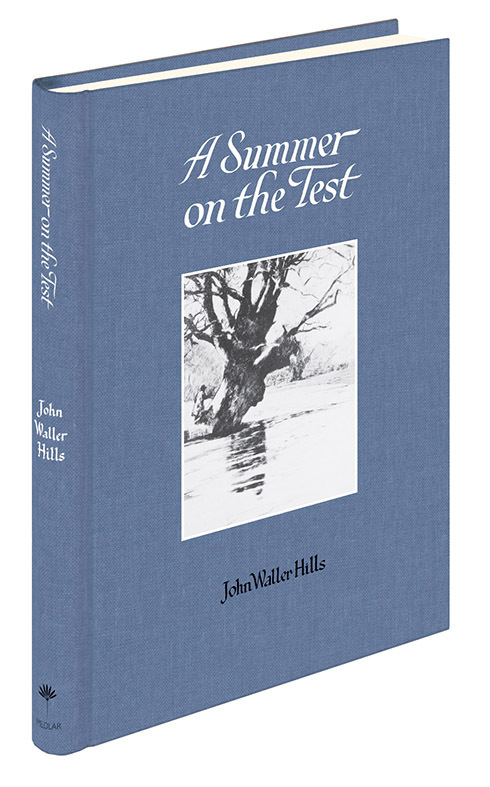 It’s well known that some of the best fishing books of all time are the classics of the nineteenth and twentieth centuries - books such as A Summer on the Test, Pike & Perch and Be Quiet and Go A-Angling. However, over the years, Medlar has published many books which we feel are of an equal standard to those great works. Chris Yates’ books are well known and are likely to be cherished titles and there are many more titles here that will add depth and range to any fishing library. When we set up the Medlar Press, we did so with two objectives: firstly to publish the best fishing books; and secondly, to make them beautiful. With backgrounds in printing, publishing and design, we both had, and still have, a passion for real books (we also run courses in letterpress printing, bookbinding and paper marbling here at the Grange). Some of our books have marbled endpapers, head and tail bands and embossed covers; some are limited editions (a few with leather bindings); but all Medlar books are edited, designed and produced with the same care and attention to detail. And when we produce a new edition of a classic book, we do it properly - they have been re-designed, re-typeset, and all images have either been replaced or re-scanned and improved. The list of Medlar books that follows on this page is also shown in an illustrated form in our online bookshop, where you can read further details about them and make your orders. On our bookshop page you can also search within the list by, for example, author, species of fish or date of publication. If books are currently out of stock, you can navigate to the page in the shop and ask to be emailed when they are available again. We hope you enjoy browsing the Medlar Press site, and if there is anything that isn’t clear or that you need help with, please remember that we work from our office in Shropshire and you can always phone us on 01691 623225. Here's a book for all those lovers of Ireland and all things Irish. These brilliantly crafted stories will whisk you away to the Emerald Isle for a few blissfully indulgent hours. Beautifully illustrated by Scott Adkins. Over the past ten millennia, that most magnificent of all fish, the barbel, has gone from being a minor species to one that now populates almost every English river. This is the story of that fish, but it is also the story of the men who have fished for it. This beautifully handwritten little notebook, with drawings and step-by-step instructions, is invaluable to all fly-dressers and, owing to the uniqueness of its presentation, will be a book to treasure for posterity. A late nineteenth-century treatise on coarse fishing by the famous inventor of the Coxon Aerial. The original is almost impossible to get hold of, so this facsimile edition is a rare treat - and includes all the text and illustrations from the first edition. Thelwell is famous for his cartoons but in A Plank Bridge by a Pool we are treated to his writing about the natural world, and fishing, and some exquisite drawings of landscapes, birds and animals. Venables was well known as a writer, and as the creator of Mr Crabtree, but was less well known as an artist. Here, for the first time, is a book that shows his beautiful and meticulously detailed watercolours of British fishes. A Step Too Far is Tim Hurrell’s personal record of the 1982 Kuksar Expedition. Tim was a mountaineer and diarist of exceptional dedication and this book has been transcribed from his notebook of the trip. The autobiography of possibly the greatest angler/writer of all time, with a life that spanned the greater part of the twentieth century, from 1907 to 2001. A beautiful Medlar edition of this classic fly fishing book, first published in 1924. Hills fly fished in many countries but thought the Test was the greatest trout river in the world . . .
With the invention of the railways in the early nineteenth century, anglers were, for the first time, able to fish the length and breadth of Britain. The great train companies positively courted them, with special trains and angling club discounts. Chris has fished since he was a boy, originally on the river Mole in Surrey, but in recent years has fished around the world. A Wellie Full of Water is an entertaining collection of tales from his angling adventures. A superb new Medlar hardback bringing together, for the first time, all the articles and letters of a Fishing Gazette series on floats first published in 1904. This book is a float angler's delight . . .
Air & Water came about as a result of a conversation between Colin See-Paynton and Jon Ward-Allen and contains the complete collection of Colin’s fish and fowl engravings from 1984 to 2004. A new book about the early Hardy catalogues and the fantastic fishing products they advertised, from the start of the company in the nineteenth century up to the First World War. Beautifully designed and bound to look and feel like one of the early catalogues. John Langridge knows a thing or two about fishing, as well as knowing about Spain, having lived, worked and fished in the country for over twenty-five years. As I Cast Out is both a travel and a fishing book. This classic has long been valued by salmon fishers for its fascinating and unique list of nineteenth century Spey flies, but this diverting book deserves a much wider audience. Martin was better known as the ‘Trent Otter’ and was one of Britain's best-loved all-round anglers and writers. First published in 1896, this book has become an angling classic and is extremely difficult to get hold of in its original form. Being Fair to Trout is a compilation of the fishing articles of Gilbert Tew, originally published in the Fishing Gazette, Country Sportsman, Angler’s Monthly, The Field and other sporting journals. Who was William Blacker? Well, he became famous when, in 1843, he published Art of Angling - a book which contained a hundred detailed salmon fly patterns - doubling the number of such flies that were already in print. Limited to 250 copies. From the Dingle to Costa Rica, from Orkney to Bermuda to Far East Russia, Clive Gammon’s stories of angling off the beaten track never fail to enthral and amuse.This collection from one of the best angling writers of the last half century and is beautifully illustrated by John Richardson. For centuries chalkstreams have inspired anglers. All the qualities of a spring-fed river – constant, equable, cool, fertile – are magnified in a chalkstream. The Lake District has inspired many a poet and writer but it has also provided a unique and beautiful setting for anglers. Indeed, it has been called ‘An Angler’s Paradise’ - and still merits that title. Medieval wall paintings in English churches have been the subject of serious debate for well over a century, but this is the first full-scale study to examine the ones containing fabulous images of anglers and fish. There are few people who fished as much as Barrie Rickards. Over fifty years he travelled the world in pursuit of a vast number of different fish and wrote numerous articles and books on angling. Fishers on the Green Roads was his first fishing novel. Best known for his classic TV series Out of Town, Jack Hargreaves was not only a great countryman but also a great angler. This was his only angling book. In each of the fourteen chapters he fishes for a different species, recounting his varied experiences. Grey mullet are almost mythical creatures to anglers - and the three species which swim in British waters are similar in appearance but differ widely in their behaviour. John first discovered Spanish barbel in the 1980s and his first Iberian fish led him to believe it was the same species he already knew from England - but the fish was not our beloved Barbus barbus. This spurred him on to chase all nine Iberian species . . .
Everyone, or at least almost every angler, knows that carp fishers are mad, but this diary, that was never intended for publication, reveals levels of madness that most carp fishers never reach. La Dorada (Gilthead Sea Bream) was first published in Spain in 1959 as part of the Spanish ‘How to Catch Them Series’. Written by Francisco Suay, this title was never published in English. Translated by John Langridge. A beautiful new edition of a rare book. Francis Maximilian Walbran was the eldest son of a Yorkshire wine merchant. He started fishing at the age of twelve and on becoming a chemist augmented his income by writing for the Fishing Gazette amongst other publications. This was his last book. This is a collection of some of the great barbel stories from the last two-hundred years, unearthed from various journals, papers and books. Modern Angling Bibliography was first published in 1947 and this is a much updated and enlarged edition. This is a book that no collector will want to be without. Eddie Chambers has provided a comprehensive, title by title, appreciation of the original series. Hugh Falkus was a gifted and passionate writer, a talented actor, a compelling broadcaster and accomplished film producer, as well as an inspiration to generations of anglers. This is a great biography of a great angler . . .
very keen angler, and this book tells all . . .
Based loosely on fact, Lizarralde follows the thoughts of a Spanish barbel angler as he fishes in 1954. The old man meanders through memories of his life during the Spanish Civil War . . .
George Selwyn Marryat was undoubtedly one of the finest fly fishers of all time. He was the man who, according to Halford, father of the dry fly, taught him everything he knew about tying flies. He was friends with Halford, Francis Francis and William Senior. Chris is well known for his fishing - as a fly fisher, a vintage tackle collector and a fly tyer. Many of his innovative patterns have been featured in Fly Fishing & Fly Tying and on Sky Sports' TV show Tight Lines. 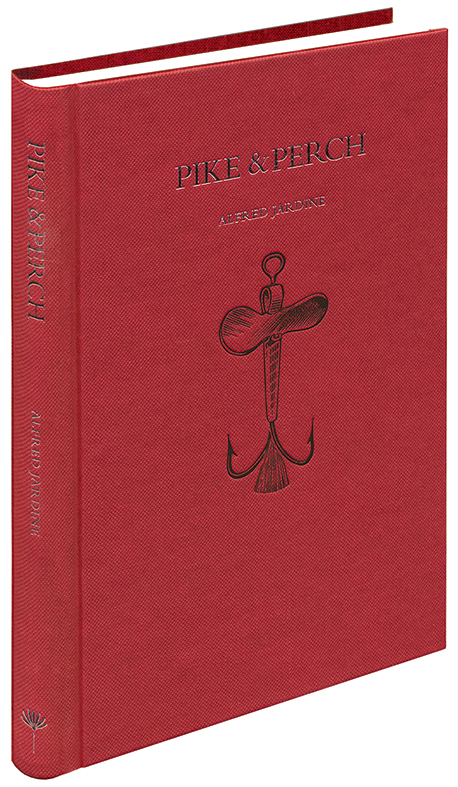 For millions of anglers there is no fish quite like the pike. It swims in their imagination, a dark, marauding apparition, fuelling their quest to catch the big one, or even the biggest one. Fred Buller has been back on the trail of these freshwater monsters . . . Many years in the making, and accompanied by its own website, this book covers everything you need to know about Irish sea-trout and fishing for them. Fifty Irish sea-trout waters are described . . . This is the story of a lifetime spent fishing the Thames. Much loved Thames angler Peter Stone recalls his adventures on this most historic river: the time he went with his father to night-line for eels in the 1930s; watching brown trout chasing minnows . . . and many more. In the author's own words: 'This is not a book about the art of angling. Nor is it a book of the ‘Me and Joe’ genre. I am not an angler of sufficient competence to be able to write with authority about the former, nor do I have any inclination to attempt the latter . . .’ It is a very funny angling book. When Courtney Williams published A Dictionary of Trout Flies in 1949, the Rev. Edward Powell of Munslow, Shropshire had more listings in the index than any other name except Pritt and Ronalds. Christopher Knowles, creates a fascinating, highly readable, portrait of Welsh Border fishing and its main characters. Richard Walker was one of the most influential anglers in the history of the sport. This biography was long overdue when it was published and it took the research and writing skills of Barrie Rickards to bring it to fruition. Covering the period from June 1982 until March 1984, these diaries were written after Chris’ twenty-year obsession with carp. In them the author embarks on a new voyage of discovery for the golden barbel. One of the great books of angling literature. Exhilarating and refreshing in its originality, this is a book about fishing and being a fisherman - and how that changes everything. Simon Smith does a fine job of bringing that whiff of ozone and salt . . . This amazing book was conceived as a tribute to the enjoyment Bill Quarry has experienced over sixty years of fishing for salmon on the Tweed.The inspiration for the book comes from a deep respect for the magnificent Atlantic Salmon. The third volume in The History of Fly Fishing, this book lists chronologically all the famous British salmon fly patterns by author and the many variations of each fly, alongside published tying instructions and a glossary of fly tying terms. In the 1950s and 60s salmon populations were under severe threat. Hydro-electric power and poaching gangs were indiscriminately killing large numbers of fish and illegal drift netting was widespread. The story of the Atlantic Salmon Trust. In recent years Scotland's salmon stocks have come under severe threat and battles have been fought on all fronts in an attempt to save it. This is the story of what has been done, and why. Essential reading for anyone with a passion for conservation. In this new fly fishing book, the author travels with his pen and fly rod, starting in Argentina, then Europe, and ending in the United States. A lovely edition of this popular anthology - a collection of Chris Yates' favourite carp stories. From Sheringham to Ransome and ‘BB' . . . Sharks were never included in the original ‘How to Catch Them’ series, but John Langridge has written this useful little book to add to the list. Covering the main species caught around the UK, this book tells you when and how to catch them. Artist Tony Whieldon is well known in the angling world for his beautiful paintings accompanied by Wainwright-clear handwriting. He has been illustrating fishing books for many years and has now turned his attention to the novice fisherman. In 1965, Hugh Falkus wrote The Stolen Years, and his plan was that it would be the first in a trilogy. He worked on the second manuscript from time to time, but sadly, the book never materialised and was largely forgotten. Some of it was Fun is certainly part, if not all of that ‘lost’ manuscript. You've all heard tall tales of haunted waters, and this book includes some of the greatest angling mysteries, including the ghost of Redmire, mysterious goings-on at Woldale, the Hawk Lake Monk and a floating head. We dare you to take this night fishing! This new Medlar edition is probably the most sought after book of the original series. One of the last to be published (in 1969) it was written with the 'everyday angler' in mind. He wanted to write a book, not about the biggest fish, but the best. An anthology of great trout stories Some of the best stories of trout and trout fishing, with contributions from William Caine, J.W. Hills, Arthur Ransome, ‘BB', Edward Grey, Haig-Brown, Ted Hughes, John Gierach, Andrew Motion, J. W. Dunne, Ted Leeson and more. Species hunting is one of the few remaining areas of angling in which there is still scope for a pioneer - there are no magazine features, books or DVDs to tell you how, where and when to catch a stone loach or a viviparous blenny. A great story of salmon conservation success against all odds. It details the pioneering hatchery work of Peter Gray at Kielder and his great achievements in dramatically improving the stocks of salmon on the Tyne. A new anthology of angling stories from Scotland. From grayling fishing on the Teviot to spinning for pike in Wigtownshire, anglers will surely find something of interest in The Angler in Scotland. Even that rare breed of fisher, the Scottish carp angler, is catered for. The Best of British Baits is the first in-depth study of artificial baits made in the British Isles. This identification guide is the result of five years' intensive research and traces the history of our lures fishing in Britain. This Best of British Baits Supplement is an identification guide to flights, spinners, mounts and bait harnesses. The Club was not launched upon the angling world with a fanfare of trumpets, nor did its modest origins foreshadow, in any way, the tremendous impact it was later to make on the art of carp fishing throughout the country . . . the fascinating story of the birth of modern carp fishing. The European or wels catfish, Siluris glanis, is a recent arrival into the world of sport fishing in Britain. Everything you need to know about this mysterious fish. John Aston's first book, A Dream of Jewelled Fishes, was published to wide critical acclaim. In this book he delves deeper into what fishing is and what it means to be a fisherman. This books celebrates fifty years of the CLA Game Fair - the world’s biggest country sport and countryside event. The event began life with an informal conversation between two game-rearing specialists more than half a century ago. Since this book was first published in 2010 it has become an indispensable quick guide to the best reels ever made by Hardy, arguably the world’s greatest fishing tackle company. Since 1873, Hardy has included hundreds of salmon flies in its annual Anglers’ Guides. In this book Keith Harwood has chosen fifty patterns, which are representative of the history of the salmon fly and of Hardy’s association with it. The History of Fly Fishing has been completely revised, rephotographed and greatly expanded to 440 pages. This lavishly illustrated work charts the development of fly fishing from the earliest days. A completely new edition of Keith Harwood’s ground-breaking original treatise on the history of British floats. The enduring fascination for floats amongst anglers remains as strong as ever. The extraordinary history of the most famous fishing tackle manufacturer in the world. Written by James L. Hardy, the last of the family to have been involved with the firm, the book chronicles the rise of the business from its humble origins. Too many angling books focus purely on instruction and tactics, and with modern angling techniques changing by the week, are out of date as soon as they hit the shelves. What of the true essence of angling? The timeless philosophies of the nation’s favourite pastime . . . This book was originally printed in 1955, and the author, Warren Hastings, very generously gave some of the profits to the ACA. The original book is now scarce and very collectable. Wiggin was one of the most widely read, loved and trusted journalists of the twentieth century, for many years Angling Correspondent for the Sunday Times. This book is dedicated to his friend, Bernard Venables, and like Bernard, Maurice had a great love of the natural world. A fabulous book. This is a book as much for the armchair traveller as for the active one, but the fisherman or woman who dreams of fishing the rivers at the end of the world will find there are many helpful details included. In The River Prince, Chris Yates brings his favourite barbel stories together. All the great barbel tales are here, from Sheringham to Chalmers and Ransome. The best salmon stories from authors that include 'BB', Negley Farson, Lee Wulff, Hugh Falkus, George Kelson, John Buchan, Courtney Williams, Francis Francis, Haig-Brown, Ted Hughes, Georgina Ballantyne and others. In 1952 ‘a chap named Walker’ caught a 40lb carp and became, from then on, a major influence in the life of Peter Stone. From their first meeting in 1956, they exchanged letters and became great friends until Richard Walker’s death in 1985. It's over five-hundred years since The Treatise (arguably written by one Dame Juliana Berners), was hand-printed by letterpress by Wynkyn de Word (William Caxton's apprentice) at Westminister in 1496. It was certainly the first book on angling. ‘See the Shetlands once, and they will haunt you forever.’ So wrote famous angler and author, Negley Farson in 1935 – and Farson should know, since he visited and fished on the islands many times. The dashing brown trout is one of our most widespread sporting fish, having colonised half the world in the past century and a half, with a little help from man. In this book Chris Newton explores the reasons for the trout's extraordinary adaptability . . .
Waterlog was founded in 1996, and Chris Yates contributed regular articles from Issue 1 to 50. This book brings together all of them, and what a great collection it makes. Went off with it? What do you mean, Tigger?” Hoppy sounded incredulous. And so the whole story had to be told. The hooking of Pickle Barrel, the long, stern battle in the darkness, his peril in the weeds, and finally, the towing of the raft and the loss of the rod. A brilliant carp story . . .
Few anglers in the Sixties and Seventies were untouched by the splendid Tight Lines! catalogues produced by ABU for the British market. This book gives an insight into the famous company. The second volume in The History of Fly Fishing, this book lists chronologically all the famous British fly patterns by author and the many variations of each fly, alongside published tying instructions, a glossary of fly tying terms and useful information. In the 1930s, a peculiar annual event started off the north-east coast of England. Each year, in August, film stars, industrialists, society ladies and military heroes descended on Scarborough, determined to land one of the biggest fish in British waters . . .
Spanning a single calendar year, the author re-lives fishing forays in the North-East, throughout all twelve months from January to December, celebrating key events along the way. A new edition of this lovely book. Maurice Ingham first rose to prominence after the publication of Drop Me a Line. In Woldale he tells of his days at Benniworth Haven (later known as Woldale). The magnificent lake provides a magical setting for perfect days spent fishing . . .
Zander was never included in the original series, but when we mentioned this to Barrie Rickards, probably the best known pike and zander fisherman, his enthusiasm for the project was evident. Barrie was passionate about zander and this wonderful little book is a real tribute to him.